Social gaming overlord Zynga has officially snapped up rival studio OMGPOP, the creator of the Pictionary-style Draw Something app. Confirming reports earlier this week, the studios have reached an agreement, thought to be in the region of $200m (£120m). 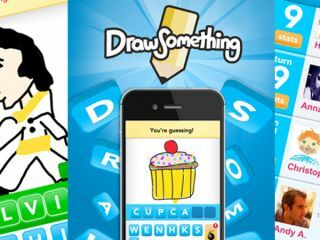 Draw Something has proved to be somewhat of a phenomenon over the last month, rising to the top of the iOS, Android and Facebook charts soon after its launch. The game requires its 30 million plus users to draw pictures based on word clues, while attempting to guess those doodled by opponents. It can also be played across platforms. Noting the game's dramatic rise to the top of the social gaming arena, Zynga (which enjoyed similar success with Scrabble clone Words With Friends) has moved fast to acquire the title. "The OMGPOP team has created a game that's fun, expressive and engenders real social interaction," said Zynga CEO Mark Pincus in a news release. "Draw Something has captured the imagination of millions of people around the world. We love the way they've worked playful and relevant culture into their games from Devo to Daft Punk, from Lin to Beckham. "We're honored to have the opportunity to partner with and support such an innovative team of creative inventors." AllThingsD reports that Zynga will take over OMGPOP's 40-strong New York-based team, as well as its portfolio of titles and future releases. The next game scheduled for launch is The Street, a gangster RPG, which is unlikely to have anywhere near the same level of success.